To further affiliate the brands relationship with quality dance music and its understanding of the festival landscape. 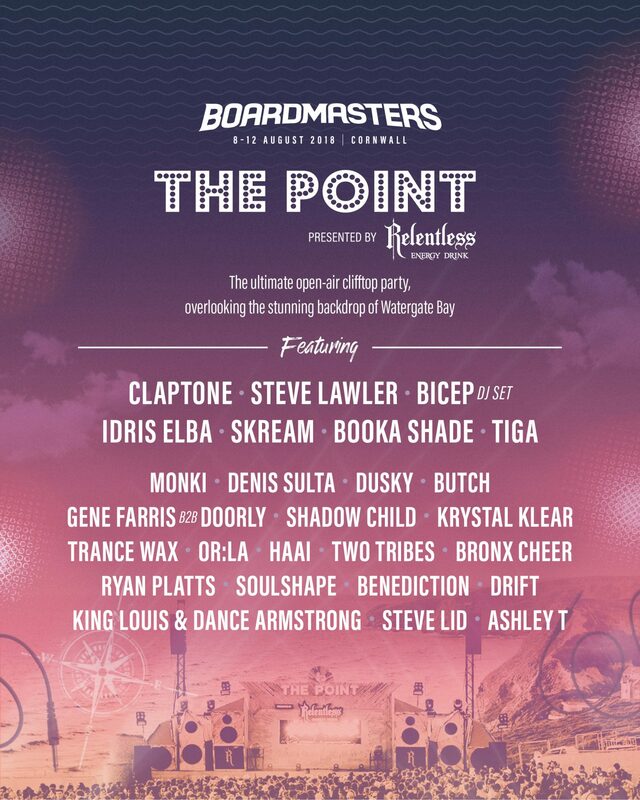 Presenting Boardmasters’ leading dance music stage ‘The Point’, it was imperative that the sponsorship channelled the brands dance music-focussed culture. We redesigned the giant speaker box façade to better represent the brand and created a visually striking backdrop for the audience. With a line-up including the likes of Idris Elba, Claptone and Bicep, it was a no-brainer the crowds would draw to the impressive cliff-edge location. We also produced a slick backstage bar, fit to host artists & guests of the brand alike. To ensure that it wasn’t just those onsite that experienced it, all sets were streamed live via a partnership with DJ Mag. Across the weekend, the brand attracted over 10,000K festival-goers partying at The Point. 560,000 tuned in to watch the performances on the live stream. We also distributed over 10,000 product samples across the weekend.